April 23, 2014 marks the 450th birthday of William Shakespeare, and it’s only appropriate that a blog devoted to reading and writing should honour the Bard. His birthplace, Stratford-Upon-Avon, is where the real action is, but we’re going to have some fun right here in the blogosphere! My blog-styled tribute to the Bard includes Spilling Ink’s first ever quiz with prizes! Be sure to read to the bottom to see how to enter. Witty Will Delivering stinging insults is a lost art, and the world’s a poorer place for it. Enraged moderns dribble uninspired rants peppered with the same old four-letter words, but Shakespeare made insults an art form. Here a sample of his witty insults. 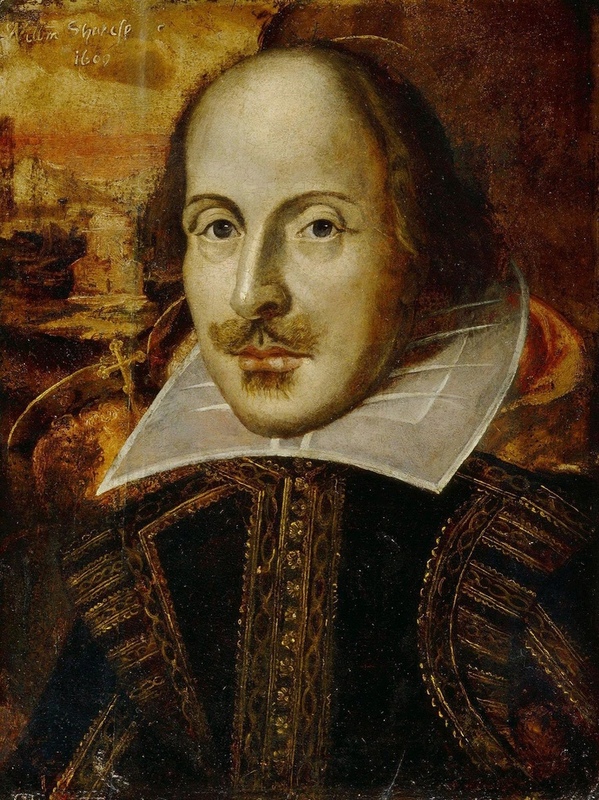 Will’s Literary Legacy Shakespeare’s wordplay continues to influence writers to this day. Here are a few well-known book titles that were lifted right out of Shakespeare’s works. Correctly identify the works of Shakespeare that the above titles are based on and you can be in the draw to win an exclusive Spilling Ink Shakespeare’s Birthday Gift Pack. 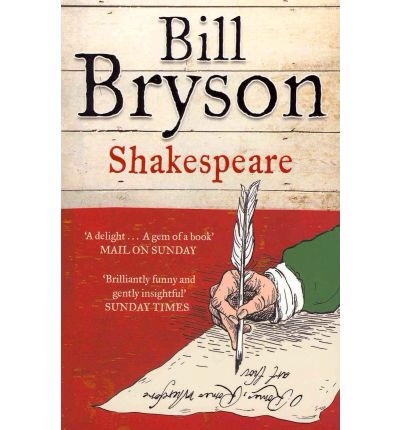 One lucky winner will receive a copy of Bill Bryon’s Shakespeare – The World as a Stage and a package of Shakespearean Insult Bandages. 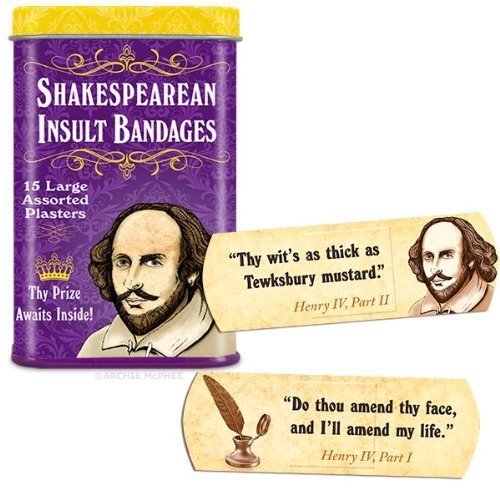 One runner-up will receive a package of Insult Bandages. Send your correct replies (identifying the 5 works of Shakespeare that the above movies are based on) to [ zuppa DOT alfabeto AT gmail DOT com ] by midnight (Australian Eastern Time) May 3rd, 2014. One winner and one runner-up will be randomly drawn from correct replies on Sunday 4 May, 2014 (Australian time) and notified by email. Prizes will be posted ASAP. If you enjoyed this post and like Spilling Ink, please hit like and share this post on social media! Thanks! You’re welcome! I’m so thrilled that the prize will be useful!